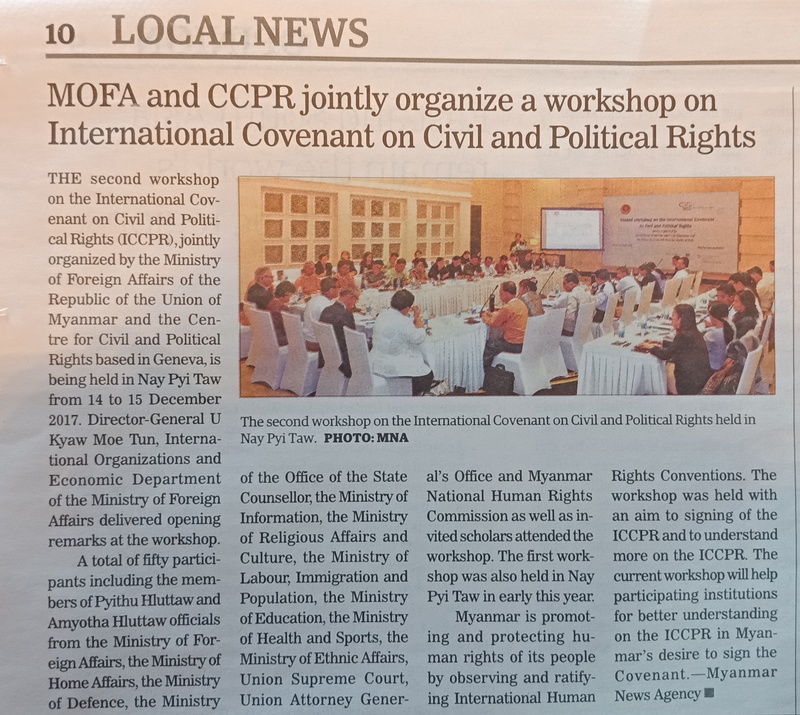 CCPR-Centre and the Ministry of Foreign Affairs of Myanmar (International Organizations and Economic Department, IOED) organised a Second workshop on ICCPR. The event took place on 14-15 December 2017 in Nay Piy Taw and gathered 50 representatives of diverse State Ministries, Parlamentarians, Supreme Court, National Human Rights Commission and scholars. 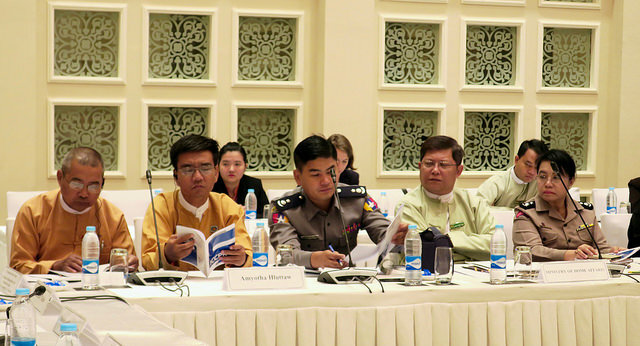 The workshop is part of the on-going 2-year project to assist national efforts and enhance domestic process for the ratification of ICCPR by Myanmar. See previous activities here: Part 1, Part 2 and Part 3. "It is our desire to become a State party to ICCPR"
As outcomes of the second workshop we can mention that the participants deepened their understanding and practical knowledge about ICCPR and its implementation; clarified questions regarding issues like reservations, implications of Art. 1 on self-determination, Arts. 2 and 27 on non-discrimination of ethic minorities and budgetary needs relating to the compliance of ICCPR. The Ministry of Foreign Affairs confirmed Myanmar's desire and eagerness to become a State party of the ICCPR. CCPR-Centre will continue its efforts to support Myanmar's national process towards ICCPR ratification.